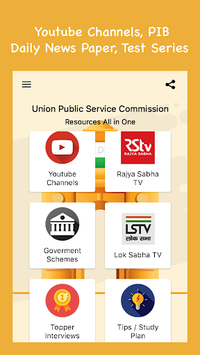 UPSC IAS All in One App includes Study Material, Syllabus, practice quizzes, video lectures, previous year papers, mock tests for 2017 examination, past year papers, Previous Year Questions with Solutions, Test series shortcuts and tricks (including all math tricks and all shortcut tricks) for the preparation of IAS, IRS, IFS, IPS. 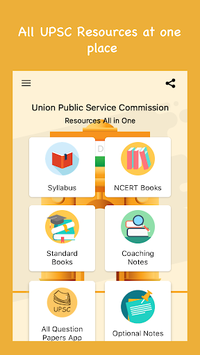 "UPSC IAS All in One" App provides preparation study material, NCERT Textbooks, Short Notes of all subjects, Question bank, Quiz, previous year papers Online Tests, Topic Wise Quizzes, NCERT Textbook Quizzes, Daily insights, Previous year question papers and Important tips & tricks for UPSC Prelims Examination. 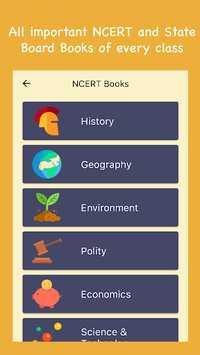 This will be helpful for people preparing for the world of UPSC Prelims Exam, Jobs and toppers recommend this app.This is a very useful Essay writing app in English for UPSC IAS preparation and free video lectures for UPSC are also available. Find UPSC Resources all Here!